Locksmith Ingersoll Ontario specializes in making new keys for existing locks; residential, commercial or automotive. If you have misplaced the keys to your home or business, a new set of keys may be made for you, on the spot, by our expert technicians. We are a mobile full service business at Locksmith Ingersoll Ontario, so a lost key situation will be addressed quickly and easily. Our technicians also offer affordable prices on your new keys. Lost vehicle keys can be a little more complicated than residential or commercial. In cars newer than 1995, most vehicles require a “transponder” type key. A transponder key is one which ‘communicates’ with your vehicle’s internal security system and sends a message that it is okay to start the ignition. If you lose all of your transponder keys, your vehicle may not start. Our technicians at Ingersoll Ontario offer a mobile full service to solve this common issue. A new transponder key will need to be programmed, and the locksmith with scan typically do this on the spot! So, there is no need to tow your vehicle to the dealer if you have misplaced your transponder keys. 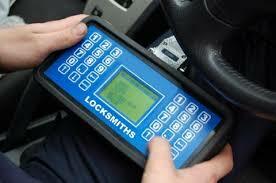 We provide locksmith services 24 hours per day, 7 days per week, including weekends and holidays. 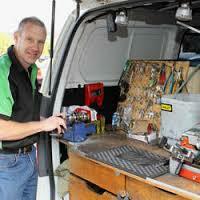 We specialize in fast service calls focusing on getting a locksmith to you in 15 to 20 minutes. Just give us a call 226-242-0787 and we will have a expert technician out to you right away!